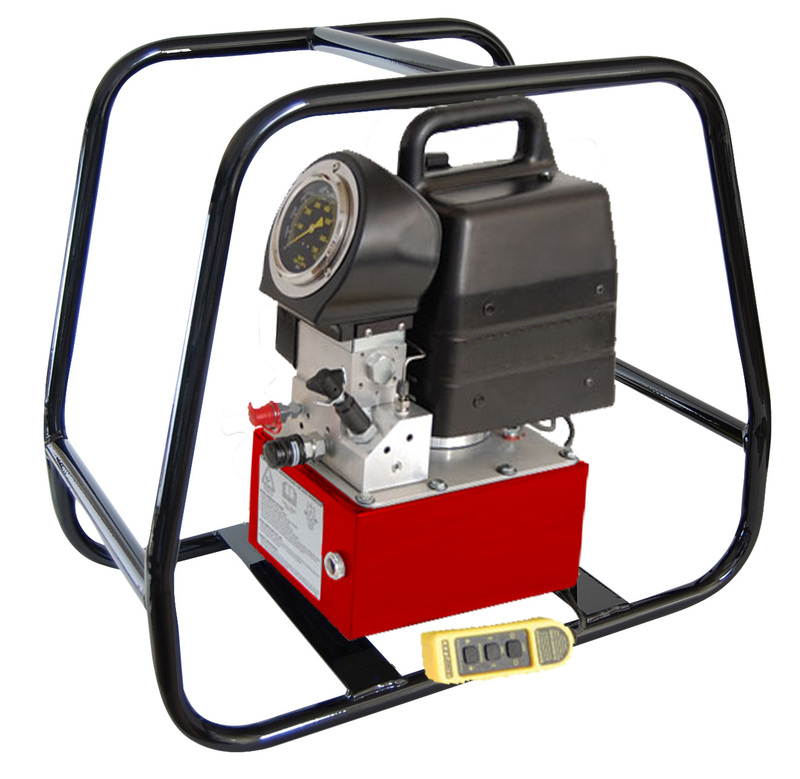 Norbar Hydraulic Pumps only weigh 75lbs / 34.1 kg with oil (not including the roll cage). The Hydraulic Pump includes a roll cage as standard. Five gallon reservoir is available upon request. Optional multi-port manifold & heat exchanger are available. Fitted with a roll cage as standard. User friendly gauge is top mounted at a 25 degree angle and is protected by a bolted-on shroud. Ideal for hydraulic torque wrenches. Weighs just 75lbs / 34.1 kg with oil (not including the roll cage). Hoses to suit any number of applications available in different lengths. Multi-Port Manifold available for users that require multiple hydraulic tools to be run from the one power console. Replaceable motor brushes & armature increases serviceability preventing tool lock up. Software automatically relieves pressure trap when pump is turned off, pre-bolted on shroud. Operates at 10,000 psi/700 bar on a 20 amp @ 115 VAC circuit. Permanent magnet motor provides reliable service on low voltage. Filter/lubricator is standard on air torque pump unit. Serviceable motor varies & springs reduce operating costs. Pressure is relieved when pump is turned off to prevent the tool from becoming locked up. Operates at 10,000 psi/700 bar on 100 psi / 50 cfm air supply.